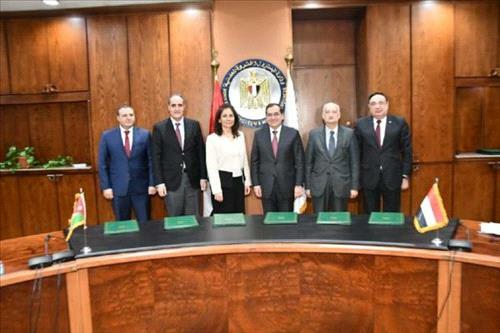 AMMONNEWS - Egypt will provide Jordan with half of its natural gas needs for power production in 2019 under an agreement signed Sunday. The agreement, signed during a visit by Egyptian President Abdel Fattah al-Sisi and his meeting with King Abdullah II of Jordan, stipulates that Egypt provides half of Jordan's needs for electricity production in 2019. Jordanian Minister of Energy and Mineral Resources Hala Zawati said the deal will help enhance the stability of the electricity supply system in Jordan and reduce the energy bill, according to a statement by the ministry. The remaining half of Jordan's needs of gas for power production will be received from global energy giant Shell and other local resources, said the minister. Voicing appreciation to Egypt, the minister said the price of natural gas is less than the imported liquefied natural gas. She said the resumption of Egyptian natural gas supply is important for Jordan's energy security and will reduce burden on citizens. The two sides also looked into providing Egyptian natural gas to industries in Jordan. Jordan needs 330 million cubic feet of natural gas per day for power production, according to the ministry. Jordan used to receive around 250 million cubic feet of gas from Egypt in 2004 and the volumes were reduced in 2009 and came to complete halt in 2011 after attacks by terrorist groups on the pipeline in Sinai that provides gas to Jordan. After the halt in Egyptian gas, Jordan resorted to importing more expensive liquefied natural gas.